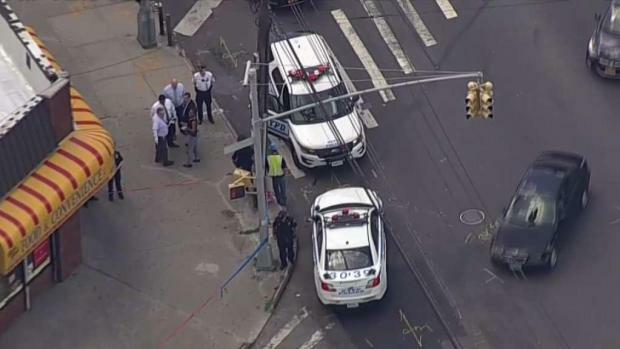 A woman at her security job has died after being found stabbed several times in the neck in the Bronx Wednesday afternoon, police say, and the suspect is the same man who's wanted for stabbing his uncle to death in a similar manner last month. The 45-year-old woman killed Wednesday, identified as Wanda Rios of the Bronx, was pronounced dead at Montefiore Hospital. She was at work at a security company on East 233rd Street in Wakefield when she was stabbed, and a screwdriver was found near her body. Police said a coworker found Rios unconscious in the middle of the afternoon at the MNI Security Company, where she worked. 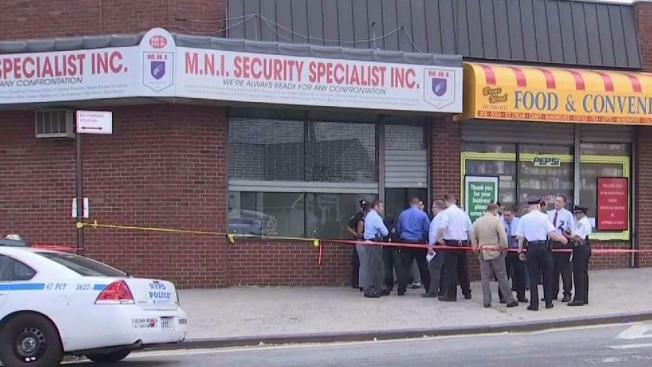 A woman in the Bronx was stabbed and killed with a screwdriver, police say. "I saw the EMS came out the building with a female lying on a stretcher, while another female paramedic were giving her chest compression," said witness Errol Spencer. Police late Wednesday said they were searching for 45-year-old Idris Abdul-Muhaymin in connection with the stabbing. He's described as being about 6 feet tall, around 180 pounds, last seen wearing glasses and a red cap. Abdul-Muhaymin has also been wanted in the stabbing death of his uncle, 73-year-old Owen Dillard, in the Bronx on June 11. Dillard had recently won a $50,000 lotto prize, and he was found face up, stabbed several times in the neck in the Mott Haven apartment he shared with his fiancee.